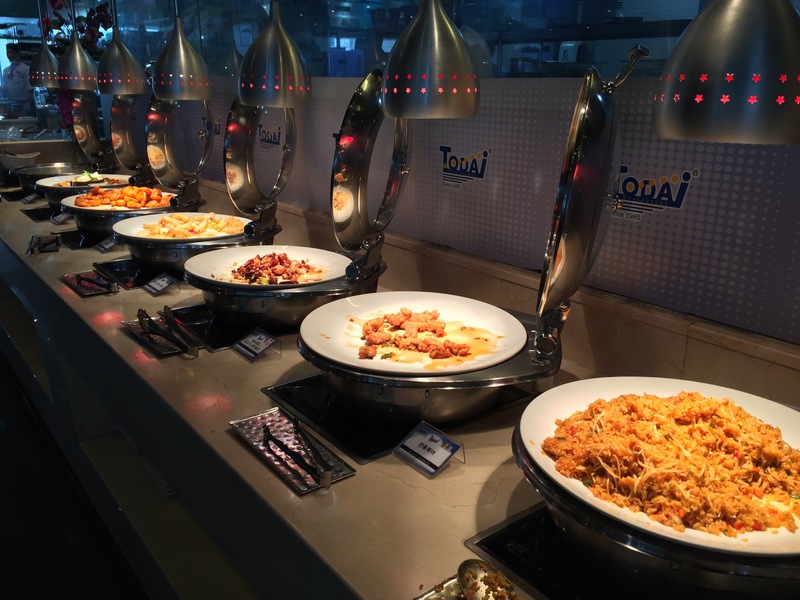 We don’t frequent buffets often because we generally do not feel that get our money’s worth out of it and I end up way overeating, but we had heard good things about Todai’s food and went to check it out for lunch. 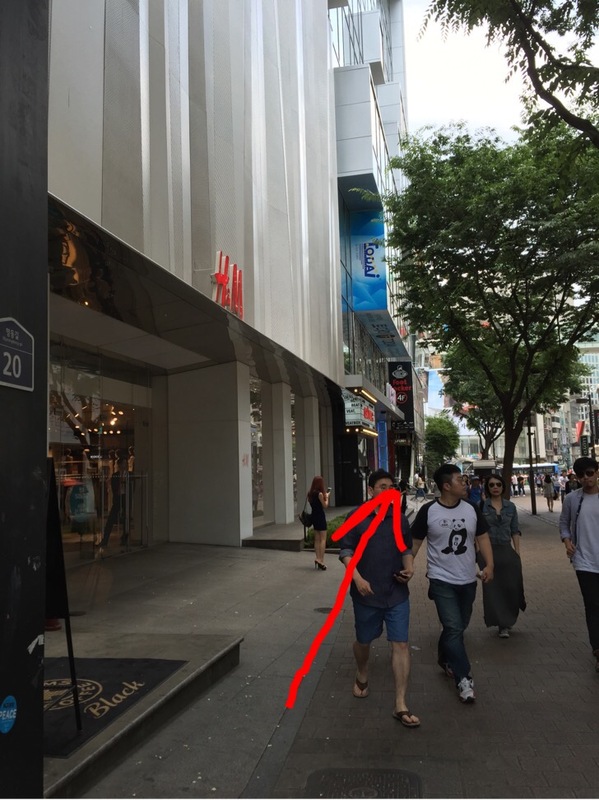 They have multiple locations, but we headed to the Myeongdong location (if you haven’t noticed, we really like hanging out there). The inside of Todai is really huge! 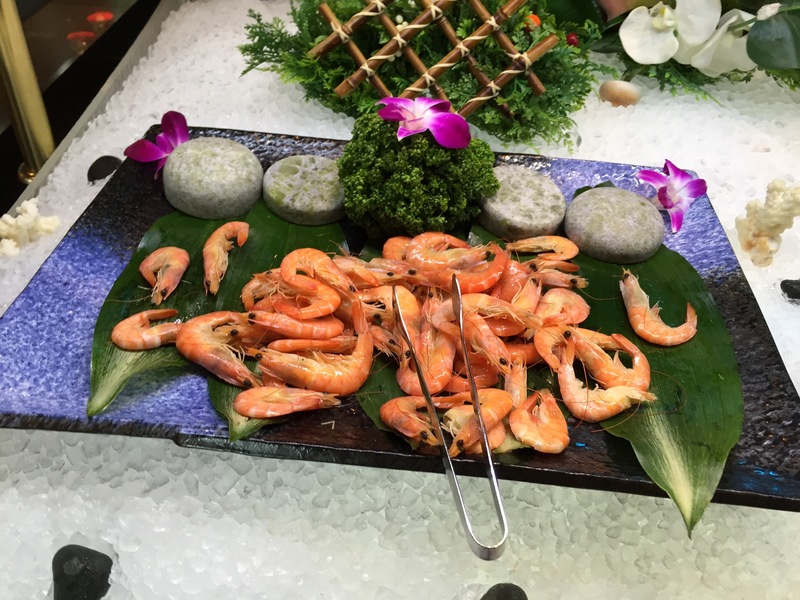 As the hostess took us to our table, we eyed all the different buffet stations and decided we would start with the Sushi. Cold Bar – at the cold bar they have a variety of sushi rolls that are decent in size and had a good amount of filing. We got a little sampler to try and my favorite out of the bunch was the Spicy Tuna Roll. 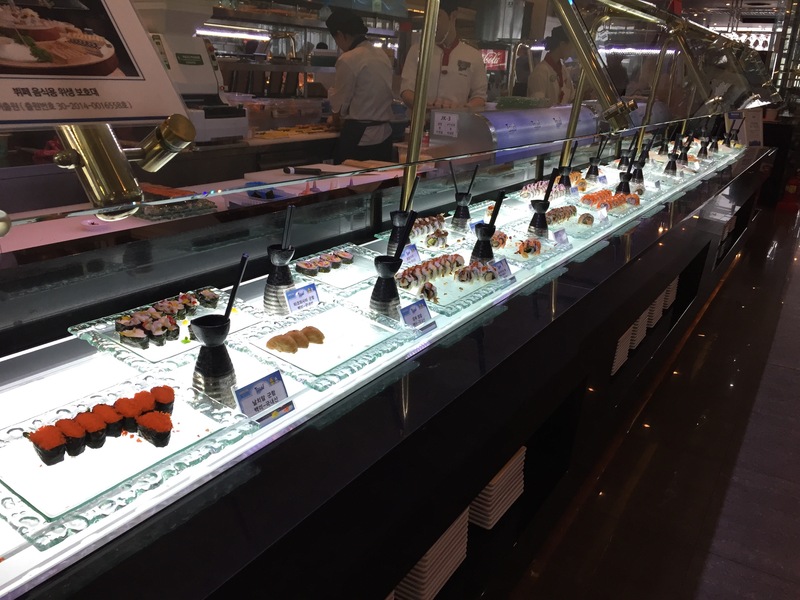 I honestly didn’t like some of the sushi rolls, and the others I felt weren’t really anything special. 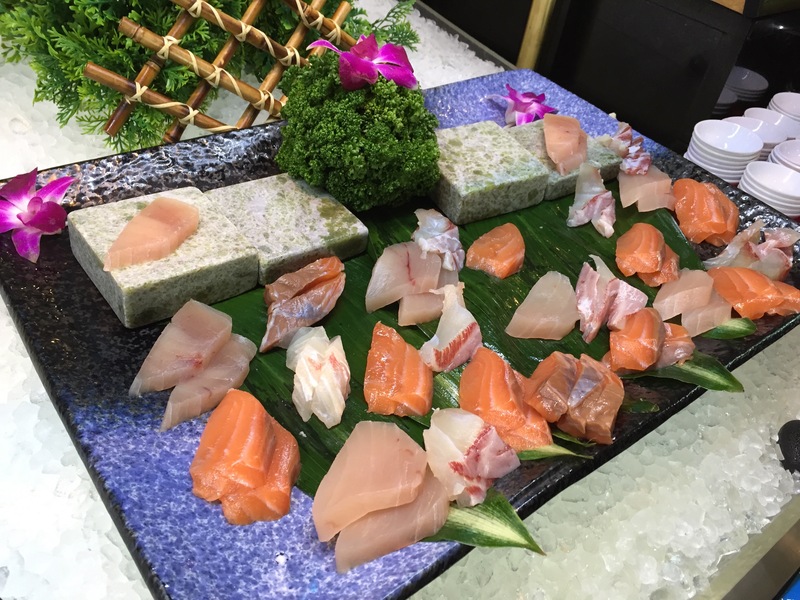 We also tried some sashimi, which was quite fresh and goes quickly from the buffet. So if you see it make sure you snag some! 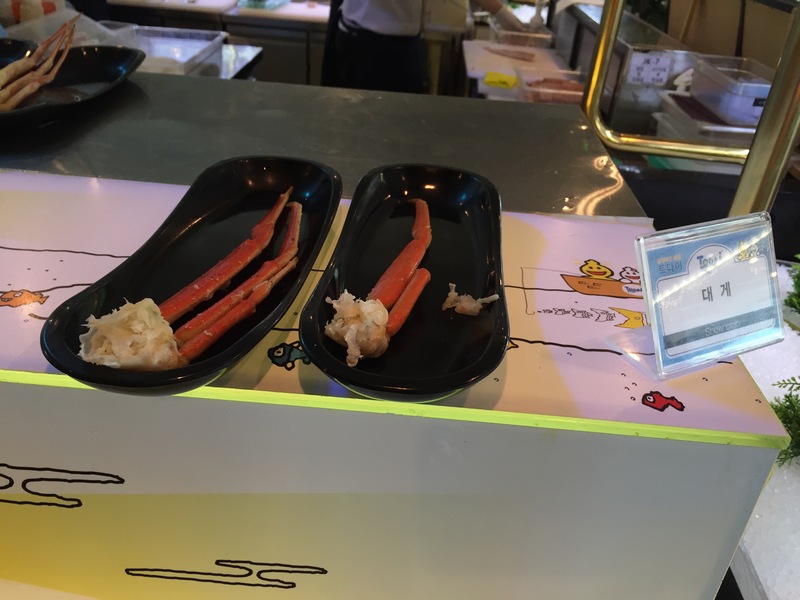 The cold bar also had peel and eat shrimp (the shrimp were pretty small) and crab legs. 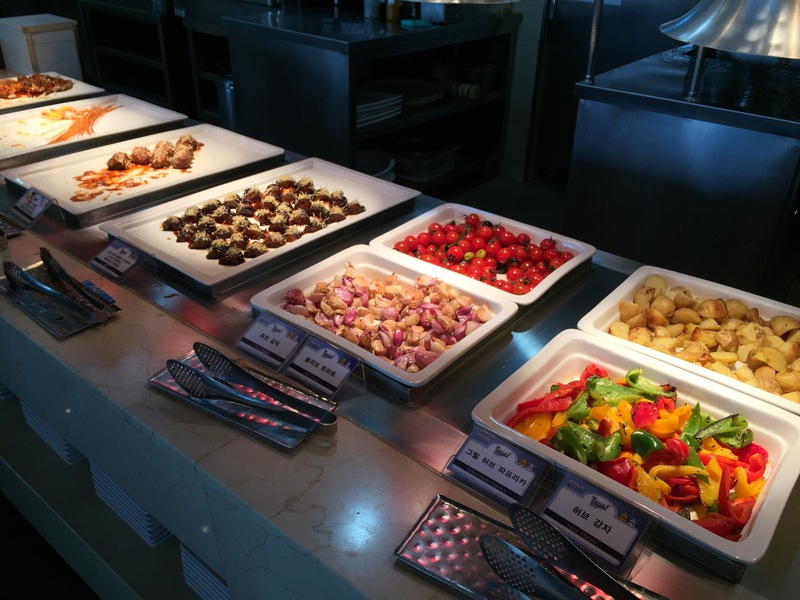 Hot Bar: You will find a couple types of Pizza on the buffet and and other Western Style dishes (Fries, Oven Roasted Potatoes, Chicken Nuggets, Pasta, etc). 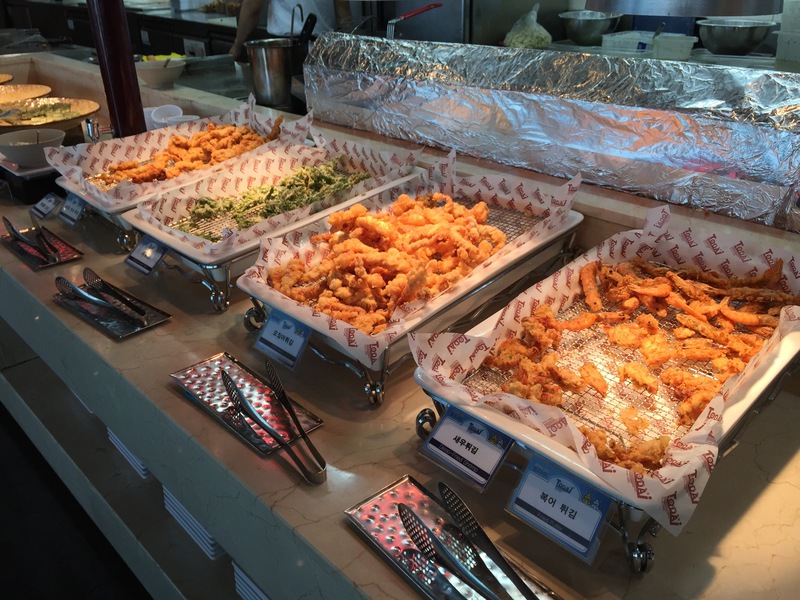 Fried Foods Station: They offer some fried seafood and vegetables. 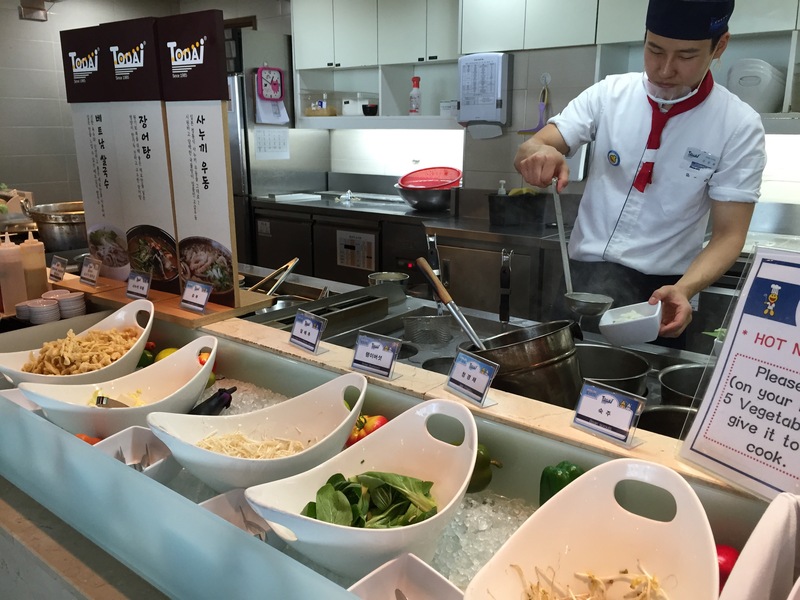 Soup Station: You are able to select the vegetables you want and put them into the bowl . Then you hand it to the chef and choose from 3 different soup bases. He will then cook you vegetables and noodles and add the broth and ask if you want some meat. I tried the clear broth, and it was quite bland. 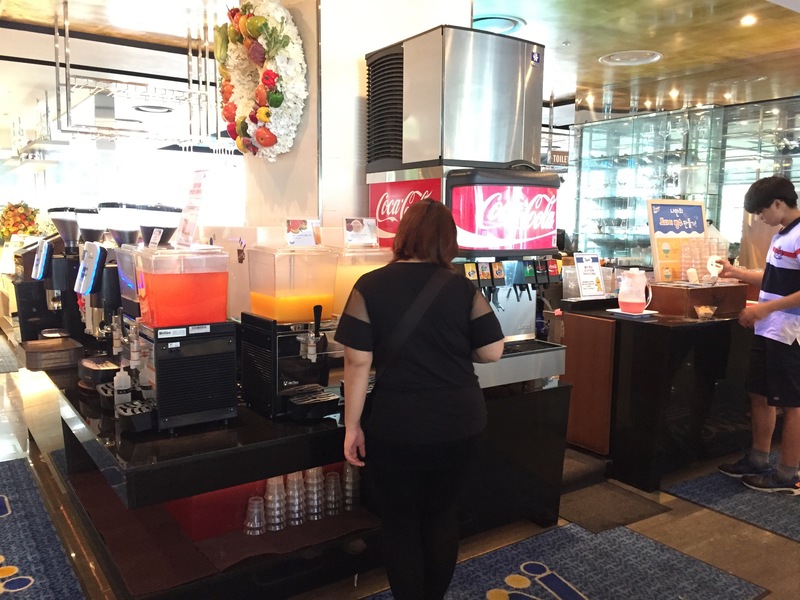 Beverage and Bingsoo Station: They have coffee, juices, sodas, and adds. For the Bingsoo, they have the shaved ice and then some fruit and syrups to top the shaved ice. Nothing too exciting. 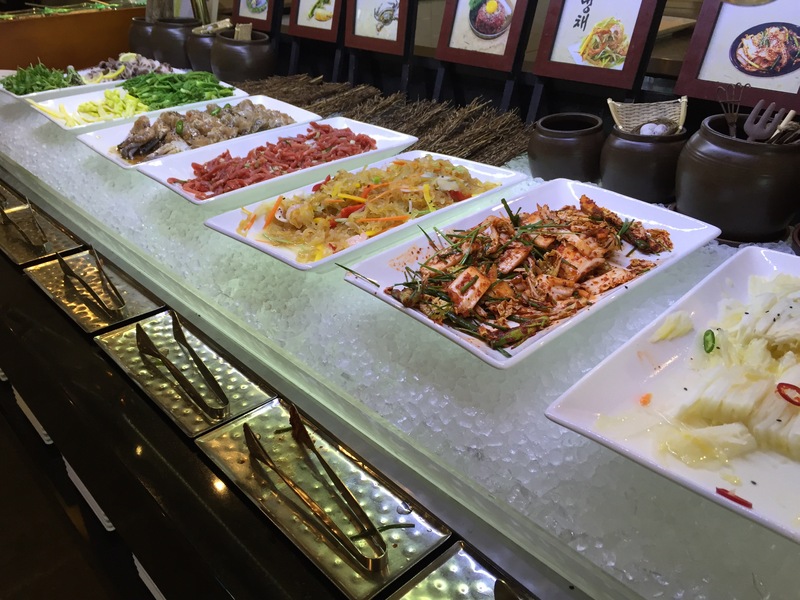 Overall, the choices are plentiful, but other than that, I did not think the buffet was that great for the price. 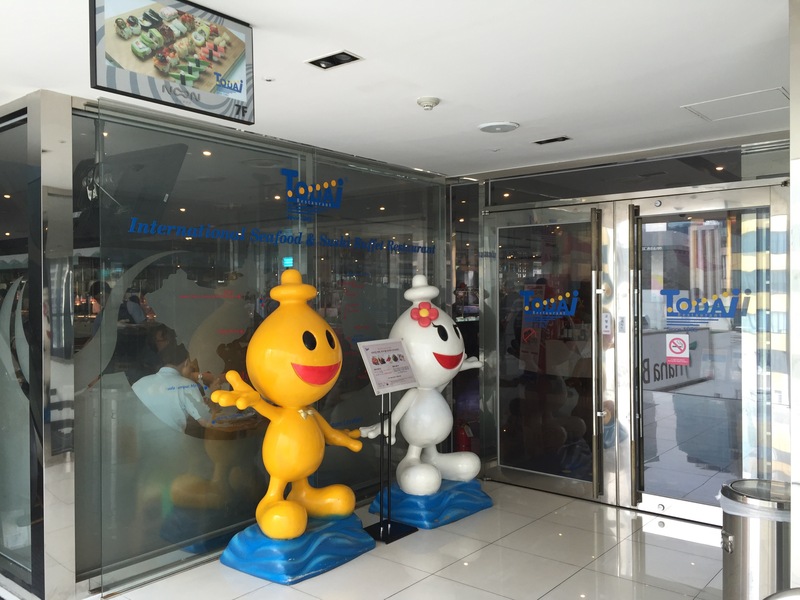 The food itself was not very flavorful and there were only a few dishes that I would go back for. I don’t think we will be going back to Todai. Previous Post Who you calling Chicken? !